Aug. 7, 2012 - PRLog -- The range of men's irish watches listed below are now available to purchase from irishshopper.co.uk. These will make a gift for any occasion, should it be a birthday, anniversary, retirement, thank you or even for Saint Patrick's Day. A beautiful watch with an old irish penny harp face, roman numerals and brown leather strap. Supplied in a breathtaking presentation gift box . Supplied in a breathtaking presentation gift box. Antique Bronze Old Irish Penny Watch With Metal Flexi Strap. A beautiful watch with an old irish penny harp face, roman numerals and expandable bracelet 'strap'. All Irish Shopper watches are shipped from the Island of Ireland. 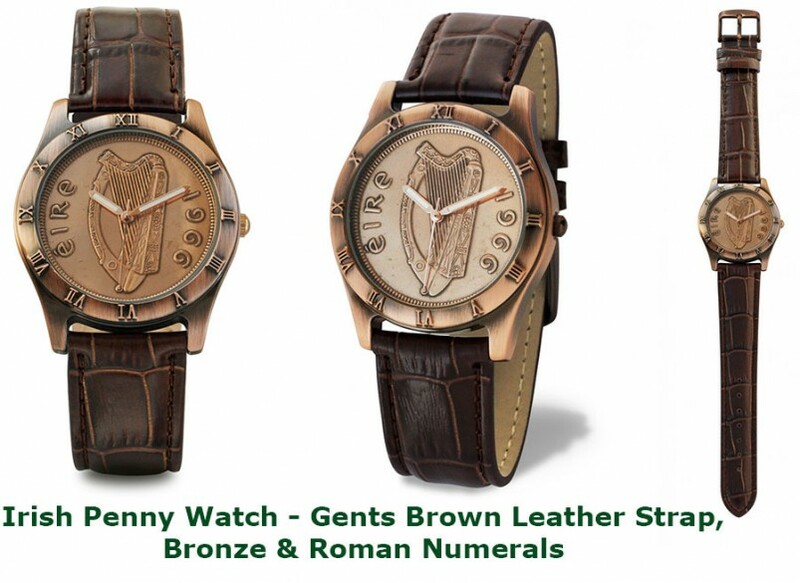 To view and purchase that special gift, you need to visit http://www.irishshopper.com and then Click on the Irish Penny Watch Category.